The Stepaniks with a nice mix of silvers, pinks and rockfish. 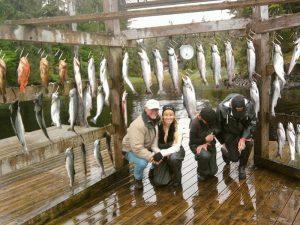 This week was great for salmon fishing at Alaska’s Boardwalk lodge. On freshwater streams, such as the Thorne River and Staney Creek, increasing numbers of silver salmon (aka coho salmon) are starting to make their appearance. The streams were choked with pink and chum salmon until a recent hard rain had them on the move upstream. The Crowells with another mix of silver and pink salmon. 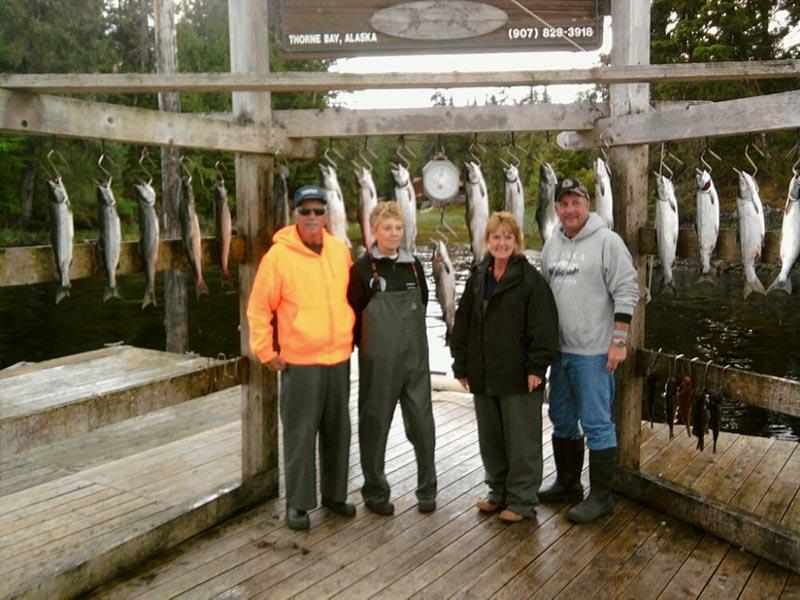 On the saltwater this week there were very good catches of silver and pink salmon. Boardwalk’s fleet of boats were averaging about 12-15 silvers per boat for about four consecutive days. The silvers are averaging about ten pounds with the occassional fifteen pounder brought back. The fifteen pounders will be the norm in about three weeks. It is said that these salmon will gain a pound a week until they head into their stream to spawn, this translates into twenty pound silvers in September. Halibut fishing has been good as well, when the water and weather cooperate. Be sure to check out the recent pictures from mid August fishing.